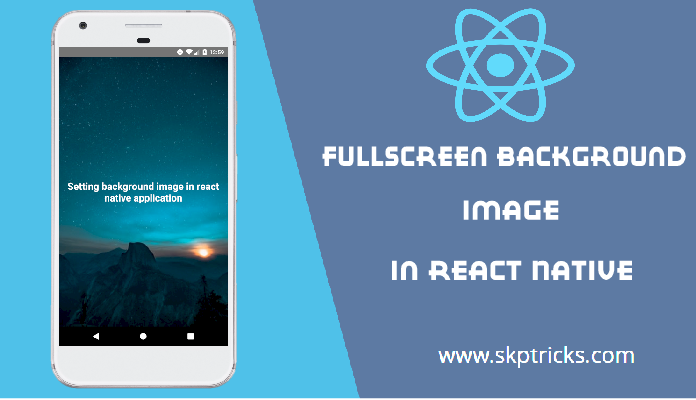 This post explains how to Set Background Image as Full Screen in React Native application. if you are the user of Whatsapp, Hike etc. then you may have seen colorful background image in that application. Also you can customize the image and set is as background wallpaper for your application. React Native provides a unified way of managing images and other media assets in your iOS and Android apps. Here in this example we are using ImageBackground component of react native application to set background image as full screen. ImageBackground is a very simple and useful component.Put your component inside ImageBackground as a nested component and tweak a position of your component by using position. 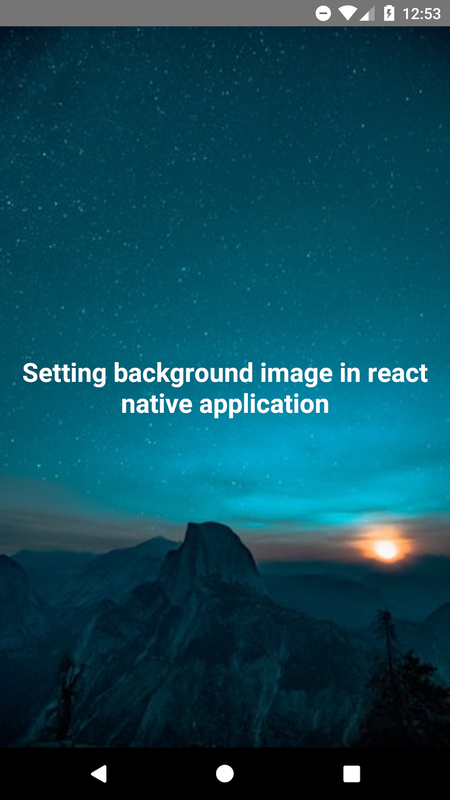 Lets follow the below steps to set image as fullscreen background in react native application. Inside background-image folder place your image. Step-4: Implement render method and return child component wrapped by ImageBackground component. You can set the background image by specifying the image path in source prop of ImageBackground component. Lets see the complete source code that helps to set full screen background image in react native application. 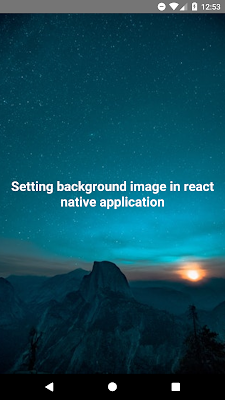 This is all about setting background image in react native application. Thank you for reading this article, and if you have any problem, have a another better useful solution about this article, please write message in the comment section.